Rent A New Nissan Now from Nissan South Union City! For every customer that walks through our doors, we’re determined to provide outstanding service and a number of financial options to choose from. No matter your credit position or preferred budget, our rental program is the answer for all people looking for a short-term mode of transportation. We offer competitive rates on quality new Nissan cars, trucks and sports utility vehicles. You can save now by partaking in the Nissan Rental Program at Nissan South Union City, with options that satisfy all your financial concerns. If you live in the greater Atlanta area, including Union City, Fayetteville and Fairburn, stop by our dealership today and drive away in a Nissan rental car that matches your lifestyle. Call us today about one-way rentals, long term rentals, and even business car rentals. All renters and additional drivers MUST be at least 21 years of age and MUST have full transferable coverage insurance that covers rental cars. The Nissan Rental Program gives customers an opportunity to save tremendously on the cost of a quality new Nissan vehicle. In a few steps, you can get behind the wheel of a new Nissan car, truck or SUV. If personal circumstances are taking away your desire to own a vehicle or you simply don’t wish to finance a brand new car, it may be the perfect timing for you to rent a Nissan that suits your every need. If you have any further questions on our rental options, give our staff a ring at Nissan South Union City, and we will provide you with expert insight so you can feel confident in your decision to rent. All vehicle models may not be in stock at time of rental. Models are subject to change throughout the year and may vary by location. All deposits and rental charges must be processed on a bank debit or credit card. Minimum deposit is the amount of the rental plus an additional $100.00. 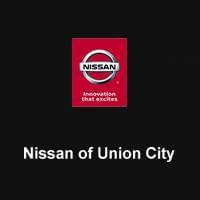 Nissan South Union City	33.5644591, -84.5217676.